We are excited to share a little bit about Brendon Randall-Myers. We commissioned a new piece from Brendon and are looking forward to performing it in the 2015-2016 season. Brendon: During: being good to myself (runs everyday, good nutrition and good sleep). Post: crash and treat body like a trashcan (b-movies and frozen pizza. Anything that lets me turn my brain off). Brendon: Something hoppy and drunk-inducing. Brendon: Self-aware genre flicks...uh but definitely a penchant for action/martial arts/scifi/horror/thriller/etc. Brendon: First moshpit at a Converge show in Worchester, MA. I've never really gotten over it. Brendon: Too many. Lately listening to lots of Ravel and Grisey, Deerhoof's Offend Maggie, Shellac's 1000 Hurts, and Matt Weston's not to be taken away. This summer I listened to Melt Banana's Fetch so many times I thought I was going crazy. Brendon: 2-egg omelette, half a bagel, kiwi+berries, water. I'm a creature of habit. Praised as "a unique musical voice" (Dustin Soiseth, The Loose Filter Project), Brendon Randall-Myers is a composer and guitarist working in experimental rock, classical music, and free improvisation. His music is viscerally direct, and challenges audiences to consider their boundaries and expectations by creating unstable, physically charged performances. 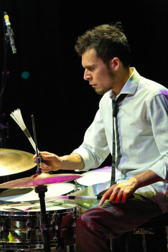 Brendon has received commissions from the Guitar Foundation of America, the Bang on a Can Summer Festival, the Norfolk Summer Festival, and the Guerilla Composers Guild, and from performers such as The Living Earth Show, Bearthoven, New Keys, Friction Quartet, clarinetist Gleb Kanasevich, Mobius Trio, Nonsemble 6, and violinist Todd Reynolds. His work has received support from the American Composers Forum, and he was the recipient of an ASCAP Morton Gould Young Composers Award in both 2013 and 2014. An active guitarist, Brendon is a co-founder of the punk- and math rock-inflected composing/improvising groups Grains and Marateck, and a frequent performer of contemporary music. He has appeared with Dither Quartet, on the Bang on a Can Summer Festival, the Switchboard Music Festival, with Experiments in Opera, and on the Flea Theater's Music with a View series, among others. Recent music includes East for keyboard ensemble New Keys, which was premiered in May 2014 at the group's 10th anniversary concert, Indefatigable Optimism for orchestra, which was premiered by the Yale Philharmonia in December 2013, and Inside Out for mixed sextet, which was premiered at the Bang on a Can Summer Festival at MASS MoCA in the summer of 2013. Gladwell, an exploration of music as a virus scored for 100 guitars, was premiered in 2012 by David Tanenbaum and the Guitar Foundation of America Bay Area Chapter guitar orchestra. Current and upcoming projects include Juiced for Friction Quartet, new pieces for New York- based trio Bearthoven and the bi-coastal A/B Duo, the launch of a new composer/performer ensemble, and Marateck's debut album. Brendon grew up home-schooled in rural West Virginia, and holds degrees from Pomona College and the Yale School of Music, where he studied with David Lang and Martin Bresnick. When not coaxing notes of his brain or guitar, he enjoys running, eating burritos, and consuming questionable sci-fi. We commissioned the Atlanta based percussionist and composer Olivia Kieffer. Olivia is bandleader, composer, and drummer for the Clibber Jones Ensemble, a 7-piece Chamber Rock band in Atlanta. Olivia Kieffer (b. 1980) hails from Appleton, Wisconsin. She joined the music faculty at Reinhardt University in 2009, where she teaches Applied Lessons, Percussion Methods, World Music, and directs the Reinhardt University Percussion Ensemble. Ms. Kieffer earned a Bachelor of Music at the University of Cincinnati College-Conservatory of Music, and a Master of Music at Georgia State University. She studied with Allen Otte of the Percussion Group Cincinnati, and with Stuart Gerber. She feels at home in both the classical and rock world, and has been heard on recordings with Christopher Adler, Emory University Wind Ensemble, Georgia Brass Band, Tay0, and Clibber Jones Ensemble. Active in Atlanta’s vibrant New Music scene, she has performed with the Terminus Ensemble, Chamber Cartel, and Sonic Generator, and was co-founder of the Percussion Repertoire Group Atlanta. Ms. Kieffer has been a proud member of Chix With Stix Percussion Group since 2004. She is composer (under the pseudonym Clibber Jones), bandleader, and drummer for the 7-piece chamber rock group, Clibber Jones Ensemble. Her compositions are published through Living Creatures Press. Olivia’s music and her involvement in Chix with Stix and the Clibber Jones Ensemble have been highlighted in ArtsAtl, TomTom Magazine, the Atlanta Creative Music podcast, and WABE (90.1FM). To see what she's up to now, please visit oliviakieffer.com. Olivia: The most consistent thing would be working at a messy desk every time. Olivia: "Waiting for Guffman", which is both, obvs. Olivia: The most magical concert I ever attended was Tom Waits at the Fox Theatre in Atlanta, in 2008. Two of the most powerful experiences I've had as a performer were: Playing timpani on Mahler's Symphony No. 1, and performing "Drumming" in its entirety. Olivia: The first and only music notation software I've learned to use is Sibelius 7, and I think it's pretty good. Notation takes the longest time! It is the one area in life where I am meticulous. I always spend way more time notating a piece than I do composing it. Yikes! Olivia: Pauline Baynes. She created all of the artwork in the Chronicles of Narnia books. I have tattoos of her woodcuts; that's how much I love her! Olivia: My first instrument was the piano, which I started in first grade, and I was such a terrible student that my parents decided it was best if I took a break from piano for awhiles. Later I joined band class on Percussion, and that was the Golden Ticket! Olivia: "A Wrinkle In Time" by Madeleine L'Engle. Olivia: I've always dreamed of staying in a house on a beach somewhere with the breeze and the water, all by myself for a few weeks, with no worries, and all I would do is compose and sleep. Olivia: One of my most exciting moments was my first composition lesson, which was with Marc Mellits via Skype. He helped me work some things out with my first commission, which was an electric guitar solo for my dear friend and bandmate, Darren Nelsen. I love Marc's music so much, and having those 2 "firsts" together was so uplifting! Olivia: It's a tie between "Clue" and "Drop Dead Gorgeous (1999)"
Olivia: "Hangin' Tough" by New Kids on the Block, on tape of course! It's pretty amazing for aerobic dancing! Try it out! We commissioned the California-based composer, vocalist, improviser, and cross-disciplinary artist Ken Ueno to write a piece for us. We will be premiering his piece during the 2015-2016 season. Meerenai met Ken at the Aspen Music Festival many moons ago. Her first introduction to Ken's music was when she was unceremoniously assigned one of his pieces to conduct at an Aspen Contemporary Ensemble concert. Everyone in the conducting class initially felt sorry for Meerenai because Ken's score for No How On was the only handwritten one in the bunch. It turned out to be one of the better pieces on that concert though so she was happy to be a part of its premiere! Ken and Meerenai ended up in the Bay Area and casually discussed possibilities of working together. Finally when we were looking for composers to commission in 2012, Ken's name was on the short list. 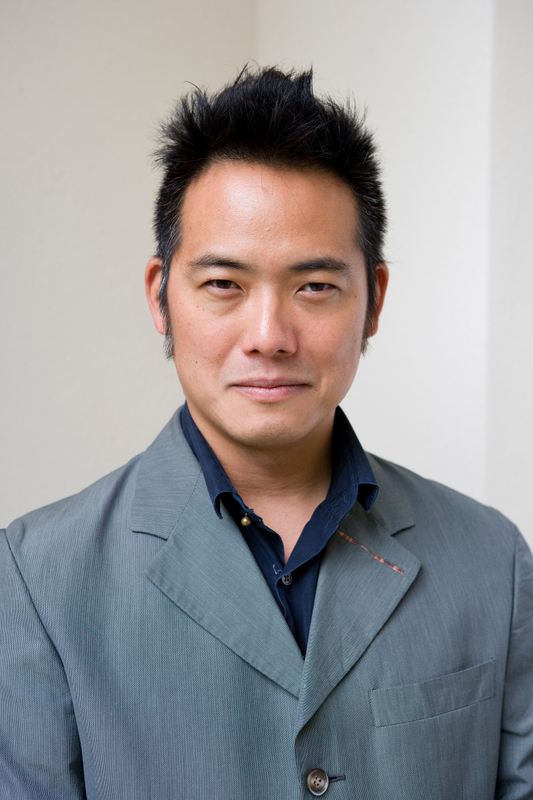 Winner of the 2006-2007 Rome Prize and the 2010-2011 Berlin Prize, Ken Ueno, is a composer, vocalist, improviser, and cross-disciplinary artist. His music coalesces diverse influences into a democratic sonic landscape. In addition to Heavy Metal sub-tone singing and Tuvan throat singing, he is also informed by European avant-garde instrumental techniques, American experimentalism, and sawari, "beautiful noise," an aesthetic in traditional Japanese music. In recent years, Ken has been collaborating with visual artists, architects, and video art ists to create unique cross-disciplinary art works. With the artist, Angela Bulloch, he has created several audio installations (driven with custom software), which provide audio input that affect the way her mechanical drawing machine sculptures draw. These works have been exhibited at Art Basel as well as at Angela’s solo exhibition at the Wolfsburg Castle. In collaborating with the architect, Patrick Tighe, Ken created a custom software-driven 8-channel sound installation that provided the sonic environment for Tighe’s robotically carved foam construction. Working with the landscape architect, Jose Parral, Ken has collaborated on videos, interactive video installations, and a multi-room intervention at the art space Rialto, in Rome, Italy. Ken is currently an Associate Professor at the University of California, Berkeley. To see what he's up to now, please visit http://kenueno.com. Ken: Composing IS the ritual in life. Ken: Constantly in exile. For serious, I have no home right now. So, I keep traveling. Ken: Neither. Experimental film. I'm a snob. Ken: Seeing Jeff Beck and Stevie Ray Vaughan double bill in LA back in the day. Ken: Somewhere I've never been. Ken: Passing my pre-school interview, when I was 2. Ken: Perform with Ryuichi Sakamoto! Ken: Soundtrack to "Round Midnight," I think. On CD. 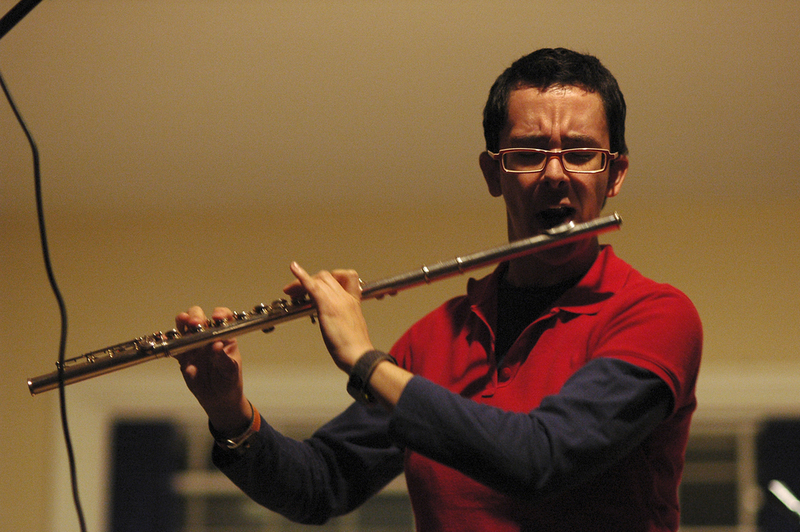 We commissioned Ned McGowan, an American composer and flutist living in Amsterdam! We are looking forward to premiering his piece on Saturday, October 11, 2014 in San Francisco. We can't imagine a better composer to write a piece for contrabass flute and percussion. We are absolutely thrilled to have our very own Ned McGowan piece! Movement 4 from Six Pieces Mecaniques: "n' est-ce pas spatial?" Performed by Calefax and Eric Vloeimans in Haarlem in 2014. Composition by Ned McGowan. Ned: Scotch. Usually Talisker or Balvenie. Ned: Working vacation. We try to go with the family for a few extra days when there is a concert in another city. But I took down the world map and put up the Netherlands and Europe maps. Ned: Apple to the core. Ned: Finale from the beginning. Ned: Is in or near to nature. Ned: Bacon, eggs and miso soup. Ned: Day my son was born. Ned: Have a better marathon experience. “McGowan’s music strives for an idiom in which various musics – American popular, European classical and avant-garde, Carnatic, a fascination with proportionally intricate rhythms, the use of microtones in the search for new subtleties of melody – and many others, rub against each other and generate new meanings.” This is how musicologist Bob Gilmore describes composer and flutist Ned McGowan. Born in the United States in 1970 and living in the Netherlands since 1994, McGowan has built his career by collaborating closely with ensembles such as Calefax and Hexnut. His taste for diversity emerged already as a teenager who took classical flute lessons, played jazz and listened to rock. After finishing studies in flute at the San Francisco Conservatory and the Cleveland Institute of Music, he moved to Amsterdam to continue his research. Over the course of eight years, he studied both flute and composition in Amsterdam and The Hague, exploring a wide range of subjects – from extended techniques to Carnatic forms and rhythms, from jazz improvisation to West-African drumming. His compositional voice was profoundly influenced by these experiences, even though he never directly follows any of these traditions stylistically. But despite whatever complexity McGowan might write, his music is never bookish; it is written with both the performers and the listeners in mind. In his debut in Carnegie Hall with the American Composers Orchestra, he “proved there’s still plenty of life in old-fashioned virtuosity with “Bantammer Swing,” a playful, athletic concerto for his unwieldy contrabass flute," according to Steve Smith of the New York Times. Similarly, Ned’s piece Tools, winner of the Henriette Bosmans Prize from the Dutch Composer’s Union GeNeCo, was described as “brutal and humorous” (GeNeCo, 2004), while at the same time “packed with discreet acoustic rooms, some more resonant than others, but all proving that... subtlety pays off” (Guy Livingston, Paris Transatlantic, 2006). In 2012 McGowan composed the worlds first concerto for iPad (tablet computer) and orchestra, which saw it’s premiere with soloist Keiko Shichijo and the Rotterdam Sinfonia, conducted by Conrad van Alphen. Upcoming performances are scheduled for the USA and Japan. Bantammer Swing, Tools and the iPad Concerto are only some of pieces that have come into the public eye: Melting Igloos and Moonrise both made it to the final of the Gaudeamus Competition Prize. “Wood Burn [written for Calefax] grew to be the highpoint of the evening” (Mark van de Voort, the Brabants Dagblad). These and other compositions have been played throughout the world including at festivals Aspen (USA), Gaudeamus (NL), Grachten (NL), MATA (USA), Dag in de Branding (NL), Nederlandse Muziek Dagen (NL), North Sea Jazz (NL), November Music (NL), Voorwaarts Maart (BE), SinusTon (DE) en Huddersfield (GB), and performed by ensembles Aleph (FR), Array Music (CAN), Atlantic Chamber Ensemble (USA), Duo Blow (BE), Calefax (NL), David Kweksilber Big Band (NL), Flexible Music (CAN), Great Noise (USA), Hexnut (NL), Insomnio (NL), Klang (NL), MMM… (JP), musikFabrik (DE), Nederlands Blazers Ensemble (NL), Nederlands Fluit Orkest (NL), BlowUp Flute Octet (NL), Pittsburgh New Music Ensemble (USA), Sax n Stix (NL), Spinifex (NL), Ensemble Scala (NL), Trio Scordatura (NL), Ensemble Verge (USA), Wervelwind (NL), Zapp4 (NL), the Dutch orchestras Radio Kamer Filharmonie, Radio Filharmonisch Orkest, Gelders Orkest, Rotterdam Sinfonia, Ricciotti Ensemble, the American Composers Orchestra (USA), Valdosta Symphony Orchestra (USA) and by many soloists including Susanna Borsch, Helen Bledsoe, Keiko Shichijo, Guy Livingston, Tatiana Koleva/Rutger Oterloo, Greg Oakes, Derek Bermel, Egbert Jan Louwerse en Eric Vloeimans. Current commissions include from festivals Acht Bruggen (DE), National Flute Convention Soloist Competition and from ensembles A/B Duo (USA) and Duo Sonoro (NL/MEX). Ned is also highly active in fostering the Amsterdam musical community through the Karnatic Lab Foundation, an organization he founded with Gijs Levelt in 1999 to promote both composed and improvised new music. Going strong after more than ten years, this Karnatic Lab ran a monthly concert series between 1999 and 2012, has its own record label (Karnatic Lab Records) and house several ensembles, including McGowan’s own quintet, Hexnut. Hexnut is his special group that grew out of the original instrumentation for his piece Tools, plus a singer. They are “a tribe of dedicated musicians who perform the most fiendishly difficult rhythms with flair and ease…” (Paris Atlantic). The band reflects Ned’s affinity for the edgy, risky and yet extremely precise – the embodiment of “brutal and humorous.” It is a perfect example of the juxtaposition, assimilation and contradiction of styles within improvisation and composition that Ned is constantly inventing. In Hexnut, Ned is often seen behind his contrabass flute, which has become one of his specialties. In 2011 Hexnut is presented the project WRENCH in collaboration with the photographs from the Canadian photographer Edward Burtynsky. Also in the mix are his more academic activities: since the 2011 academic season Ned teaches composition at the HKU University of the Arts Utrecht and his own course on advanced rhythm at the Utrecht’s Conservatorium. Between 2000 and 2005, he was also the director of the Dutch microtonal institute, the Huygens-Fokker Foundation, and now resides on its board. In 2014, he was awarded the Alumni Achievement Award from his Alma Mater, the Cleveland Institute of Music. 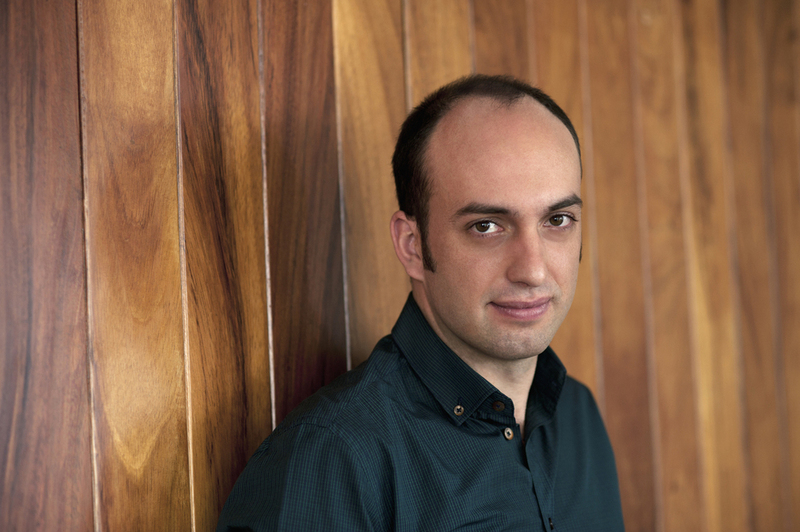 We commissioned Chicago-based composer, Francisco Castillo Trigueros! We are looking forward to premiering his piece in the 2014-15 season! Chris and Francisco met in 2011 when Chris played a piece by Francisco at the University of Chicago. Between rehearsals, Francisco introduced Chris to a local coffee shop where Chris had the best latte he's ever had. Since then, Chris has wanted to play more of Francisco's music so when the A/B Duo commissioning project started, Francisco was on top of Chris' list of composers. Francisco Castillo Trigueros (b. 1983) is a composer of contemporary chamber, orchestral and electronic music from Mexico City residing in Chicago. 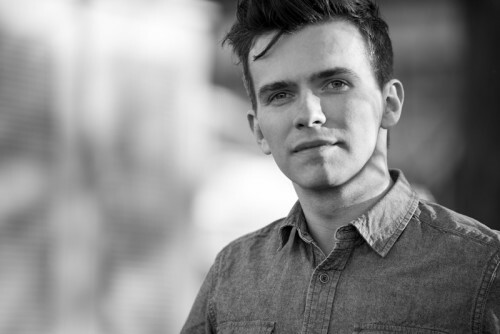 He has received numerous distinctions such as the BMI Student Composer Award, honorable mentions in the 2010 and 2011 Morton Gould Young Composer Awards, and several nominations for the Gaudeamus Music Week Prize in The Netherlands. Castillo Trigueros has worked extensively with intercultural ensembles. His intercultural work draws from his multi-cultural raising in Mexico, and deals with issues of identity, diversity, and hybridity. It presents diversity while creating unity. In his work Prisma, for oboe, 6 East Asian instruments, and strings, the distinctive eastern and western sound worlds are blended together to create a unified fluid timbre. Francisco has also composed numerous pieces for traditional music ensembles and orchestras, often including the use of electronics. His pieces are often inspired by visual art. His work Nealika, which he wrote in 2009-10 for eighth blackbird, is inspired by the fluid symmetry and colorful patterns found in Huichol visual art. His work Emblema | Blau for flute, string quartet, and percussion, is structured using one of the most emblematic figures in Mexican culture: the pyramid. Francisco's recent collaboration with biochemist Josiah Zayner on The Chromochord, an instrument that allows the sonification of nano-sized light-responsive proteins found in plants, has been featured in several publications including Scientific American. Orchestras, ensembles and performers that have performed his music include the Holland Symfonia, Orchestre National de Lorraine, Chicago Composers Orchestra, eighth blackbird, ensemble dal niente, Atlas Ensemble, Nieuw Ensemble, Asko Ensemble, Pacifica String Quartet, Spektral String Quartet, Fonema Consort, Jason Alder, Brian Conelly, Ryan Muncy, and Shanna Gutierrez. His mentors and teachers include Augusta Read Thomas, Shulamit Ran, Kotoka Susuki, Howard Sandroff at the University of Chicago; Theo Loevendie, Richard Ayres, Fabio Nieder at the Conservatorium van Amsterdam; Shih-Hui Chen, Kurt Stallman, Pierre Jalbert at Rice University; and Haruko Shimizu and Jose Tavarez in Mexico City. Castillo Trigueros is currently pursuing a Ph.D at the University of Chicago, where he served as Computer Music Studio Manager for three years, and teaching digital music composition at Columbia College Chicago and theory and composition at the New Music School. Francisco: During: Walking a lot... and by walking I don't mean taking long walks on the beach, I mean pacing around my apartment until ideas crystallize. Francisco: Mitsuko Uchida playing Schubert Impromptu in G flat minor in the Concertgebouw. We commissioned the composer and flutist Andrea La Rose! Andrea sent Meerenai a few of her solo flute pieces in 2012 and that's when Andrea was put on Meerenai's "must commission" list. And of course Chris agreed that there should be an A/B Duo piece written by Andrea! We expect to premiere her piece during the 2014-14 season. Andrea is always creating cool projects and is currently uploading 52 short songs that she wrote in 2013. (Uploading one song a day.) Check our her tumblr to listen to these cute songs. Named by NPR as one of 100 composers under 40 you should know, flutist and composer Andrea La Rose is making waves in the New York music scene and beyond. Her pride and joy since 2002 has been her work as a flutist/composer/board member with the punk-classical antagonists known as Anti-Social Music, most recently touring the Ukraine and contributing to an album of remixes of songwriter Franz Nicolay. 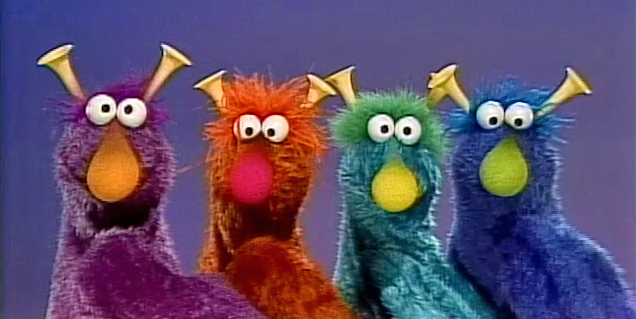 She has also been musically involved with thingNY, baj, Lone Wolf Tribe, Mohair Timewarp, and Wild Rumpus. Print and online publications from Chamber Music America, to New Music Connoisseur, to Dusted have said lovely things about her fluting and composing prowess. Funding for her musical endeavors has been generously provided by the American Music Center and Meet the Composer. Since August 2009, she has been contributing her talents as a Music Teacher at the Franconian International School in Erlangen, Germany. When she is not making music in some fashion, she is quaffing beer and whipping up culinary magic in her kitchen. To see the latest of what Andrea has to offer, visit her website at http://reloadsanear.com/. Andrea: My lord, I hate picking favorites! Ugh. What about ice cream or panna cotta? A/B: Rom-com or Action thriller? A/B: Apple or Microsoft? Finale or Sibelius? Andrea: Okay, definitely Apple, definitely Finale... otherwise I am all about variety. Andrea: I am known for my frittata obsession ("That would make a good frittata!" "Save that. I'll make a frittata with it tomorrow."). We commissioned the Chicago based composer Carolyn O'Brien to write a piece for us. We will be premiering Nocturne for contrabass flute and djembe in Chicago on December 1, 2013. Chris met Carolyn in 2011 after a show with Ensemble Dal Niente in Chicago. The two became instant friends over a glass of bourbon, discussing music, life, and the future. A few days later, Chris met with Carolyn for some coffee to discuss a couple of her scores and brainstorm about an idea she had for a percussion solo involving spring coils. It didn't take much convincing when Chris showed Meerenai some of Carolyn's work. It was, as they say, a "no-brainer". We are excited to play her piece, and even more excited for another glass (or two) of bourbon after the premiere! After a career as a public school orchestra director and freelance violist, Carolyn O’Brien began studies in music composition at San Francisco State University with Carlos Sánchez-Gutiérrez. In 2007, she completed an MA in music theory and composition at University of California at Davis, where her principal teachers were Yu-Hui Chang, Pablo Ortiz and Laurie San Martin. Ms. O’Brien is currently pursuing a doctorate in music composition at Northwestern University with principal teacher Lee Hyla. Ms. O'Brien's works have been performed by the Left Coast Ensemble, Empyrean Ensemble, Bent Frequency, International Contemporary Ensemble (ICE), ensemble dal niente, Anubis Quartet, Trio Phonos directed by Harry Sparnaay, and Graeme Jennings among others. She was a chosen fellow for the Music X Festival with ensemble eighth blackbird in 2006 and 2010, the 63rd Annual Composers Conference at Wellesley College in 2007 led by Mario Davidovsky, and granted a fellowship at the MacDowell Colony for the fall of 2013. Ms. O’Brien has been awarded numerous prizes including second prize in the SCI/ASCAP Student Composition Commission Competition in 2006, the annual call for scores held by Atlanta’s Bent Frequency in 2006, the Libby Larsen Prize in 2007, the Charles Ives Scholarship via the American Academy of Arts and Letters in 2009, and the William T. Faricy Award in 2011. Some of her earliest works were commissioned, including two works that premiered at Dance Week with choreographer Lea Wolf in San Francisco in 2000-2002, and the Herb Bielawa Commission Prize in 2003 at San Francisco State University. In 2007-08 she was awarded a commission and position as composer in residence at the San Francisco Community Music Center for the 21st Century Music for The People project through funding provided by the American Composers Forum. In 2008, her commission, Formicary, for piano quartet, was performed at the Society of Composers, Inc./ASCAP National Conference. In 2011, she received three commissions, which yielded Thing Contained, for saxophone quartet commissioned by the Anubis Quartet, Escapement, for flute, oboe and baritone saxophone commissioned by ensemble dal niente in Chicago, and a final commission and job as composer in residence from the Lick Wilmerding High School Orchestra in San Francisco, CA. In July 2012, her work, Coil, Recoil for alto saxophone and viola premiered at the Selmer Studio in Paris, France by Jan Berry Baker and Tania Clements, and at the World Saxophone Congress in St. Andrews, Scotland. For more information about Carolyn and to see what she's up to visit carolynobrienmusic.com. Carolyn: Yes. Clutter drives me mad, so I obsessively clean my workspace until every surface is a clean slate, before and after I compose a piece. Carolyn: Splitting a really fine bottle of wine with my husband. Carolyn: Oooooh, definitely pie. Pear pie! Carolyn: A 33LP of Pete Seeger's children's songs: Birds, Beasts, Bugs and Fishes. I hold it so dear, that I just bought it again last year! We commissioned the Chicago based composer Jenna Lyle write a piece for us. We will be premiering "Stitch" in Chicago on December 1, 2013. Chris came to know Jenna through a performance of a piece commissioned by the Clarinet/Percussion duo, Devil May Care. Devil May Care percussionist Caleb Herron and Jenna had known each other for quite awhile. When we were on tour in Atlanta, we performed a show with Chamber Cartel (a group headed by Caleb). During our stay we formulated a list of composers, when Chris mentioned Jenna's name to Caleb, he gave such a resounding yes that we knew we had to get a piece from her. Jenna Lyle is a composer, vocalist, and sound artist from Carrollton, Georgia. Currently in Chicago, she is pursuing a Doctorate of Music in Composition at Northwestern University under the tutelage of Lee Hyla, Hans Thomalla, and Jay Alan Yim. An active composer, performer, and administrator, Jenna has worked with various ensembles and specialized in the performance and presentation of works by living composers. She has presented her own works as well as those of her colleagues throughout the U.S. and abroad, with performances recently by Chicago's Spektral Quartet, DMC Duo, NO EXIT New Music Ensemble of Cleveland, Seattle’s Young Kreisler ensemble under the direction of Jayce Ogren, and by performers at UCLA’s Hammer Museum as part of the Little William Theater project. Her artistic concerns are rooted in the unification of physicality with the creative process for the sake of immediacy, clarity of expression, and intimate exchange. Her style has been described as having a “leave-’em-wanting-more approach, offering music whose brevity and surface uncomplicatedness enhanced its ear-grabbing ability.”-Gavin Borchert [Seattle Weekly, Aug. 2010]. Jenna is also co-founder and co-administrator of Parlour Tapes+, a New Music cassette tape label and media/performance collective out of Chicago. For more information about Jenna, please visit http://jennamarielyle.com/. Pre: do the dishes while listening to the Splendid Table, then sit in silence and stare at things for a couple of hours. Jenna: In the summer, a Pimm's cup; in the winter, Templeton Rye with two ice cubes. I don't get anything done in the other seasons because they last 3 weeks in Chicago. Hmpf. Jenna: I actually don't know what Stay-cation means. But Wikipedia doesn't make it seem that awesome. I've been excited about the way music is felt in an audience member's body ever since. Jenna: Lake house with big windows, a dock, and a kayak. I mean I don't really kayak, but I do if I'm on a lake. AM-I-RIGHT? Jenna: Hearing my 1-year-old nephew Jet (who is now 3) clap WITHOUT PROMPTING after hearing a recording of a piece of mine. I maintain that he was moved and overwhelmed with emotion and not conditioned to clap after things by the Wiggles. Jenna: become good enough at climbing to scale a Redwood or something equally ridiculous. We commissioned the Chicago based composer Drew Baker to write a piece for us. We will be premiering "Limb" (scored for contrabass flute, piccolo, vibraphone, crotales and Thai gongs) in Chicago on December 1, 2013. Drew Baker’s music has always intrigued Chris so we put his name on the short list of composers that we wanted to commission. The frailty, the beauty, but also the depth of his sound world is exactly the type of music we wanted for our first commissioning project. 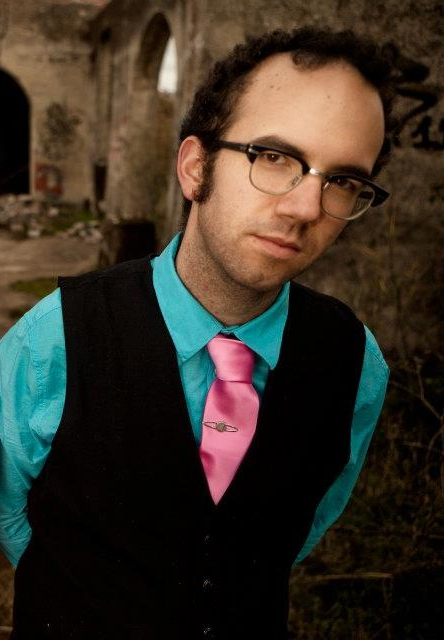 Drew Baker is a Chicago-based composer and pianist. Described by the American Record Guide as "extremely inventive," Baker's music explores the many sonic identities of conventional and unconventional instrumentations, often taking into account visual art and politics. Baker's complete piano music was recently recorded by renowned pianist Marilyn Nonken and released on New Focus Recordings. Additionally, his works have been performed by a number of leading contemporary music ensembles including H2 Quartet, The Talea Ensemble, International Contemporary Ensemble (ICE), Ensemble Dal Niente, The Group for Contemporary Music, Ensemble21, and Chicago Chamber Musicians. Baker earned a Bachelor of Music in Piano Performance from the Eastman School of Music, a Master of Music in Composition from Rice University and a Doctor of Music in Composition from Northwestern University. His primary composition teachers have included Marti Epstein, Augusta Read Thomas, Shih-Hui Chen, Karim Al-Zand and Jason Eckardt. 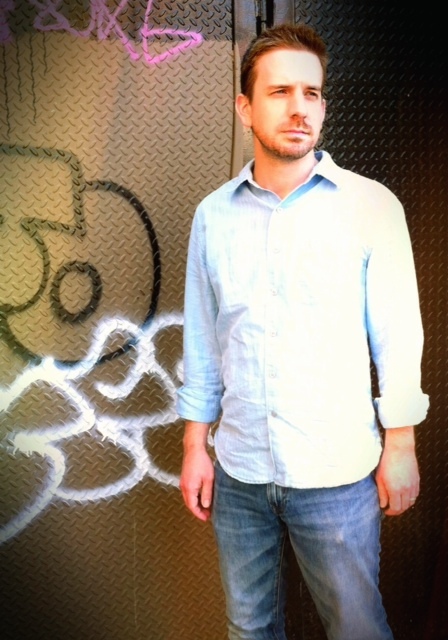 Adam is a New York based composer and performer. He made a new version of metalStaind especially for us. We will be premiering the new version for piccolo, vibraphone and percussion in San Francisco on September 27, 2013. Meerenai and Adam met (in real life) in the summer of 2013 when they were both Fellows at the Bang on a Can Summer Festival. (They already knew of each other via Twitter.) When Adam mentioned that he had a piece for saxophone and percussion, Meerenai asked him to consider a version for A/B Duo. Lucky for us, Adam adapted the piece for us in no time! Adam Cuthbért is a composer/performer and Michigan native who cross-breeds acoustic instruments with digital environments. Highly interested in the evocative qualities of sounds in nature, Cuthbért is experimenting with ways to use composed music to both synthesize and supplement the aesthetics of a natural environment. As an Ableton Live practitioner and trumpeter, he has performed new works around the United States and Japan, at (le) poisson rouge, La MaMa ETC, Chashama, and the Incubator, and alongside performers such as eighth blackbird, Sō Percussion, Dennis DeSantis, and Maura Donohue. His co-commission with Daniel Rhode, several rooms away from their source, premiered simultaneously in the UK, Netherlands, and US in the 2012 London Cultural Olympiad. Some recent and ongoing projects include scores for experimental opera-theatre (Pioneers Go East Collective), a trumpet/electronica solo project (KuuMA), and Sight/Sound, an audio-visual collective based on collaborative composing over the internet and through the lens of technology. Adam: My most "zoned in" composing sessions seem to happen either in the loud static of a New York City coffee shop, or in dead silence between the hours of 1am and 5am. I guess I like the extremes of panic and serenity. 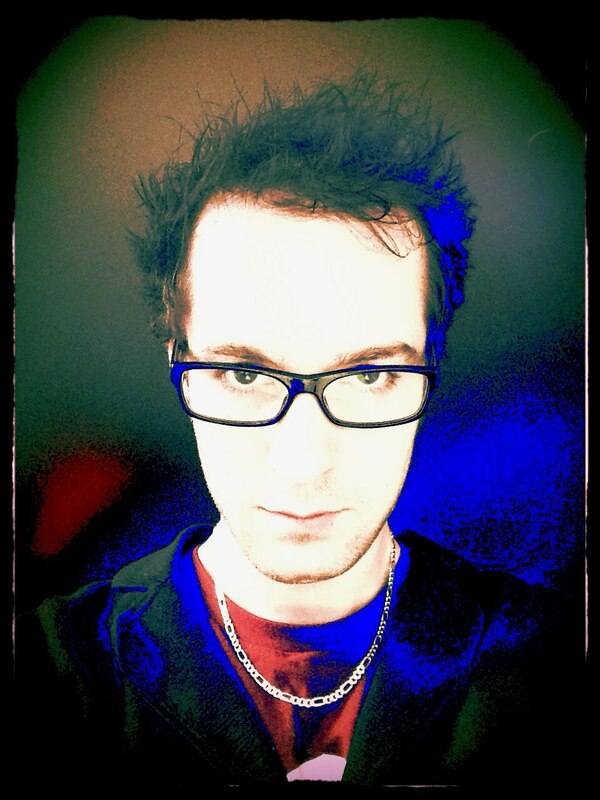 Adam: Compositions can be finished?! Adam: Vacation. There's too much of the world I haven't seen yet. Adam: Oh, so many of these. John Luther Adams' Inuksuit in a torrential downpour at Millennium Park in Chicago. Also recently Squarepusher's Ufabulum show. Talujon's performance of Grisey's Le Noir de l'Etoile. Most terrifying: trapped in a Skrillex moshpit as a brawl started to break out. Adam: Apple since 2000. Audio gear just works on my MBP. Adam: I compose in Ableton Live, then I export MIDI data into Sibelius and clean it up to a performable grade. Frankly, I dislike both sib and fin. Adam: Collectively, the Bang on a Can trio. Adam: Morton Feldman's "Give My Regards to 8th Street". Changed my world as a composer. Adam: Japanese trance music, and those Vocaloid synth characters you can program to sing. Adam: I was a Big Bird fan back in the day. Seriously, how is he so big?? Adam: I am so over CDs. Half of my existence is in the cloud. Adam: In 4th grade, Third Eye Blind's self titled. That 90s stuff still hits the spot sometimes.